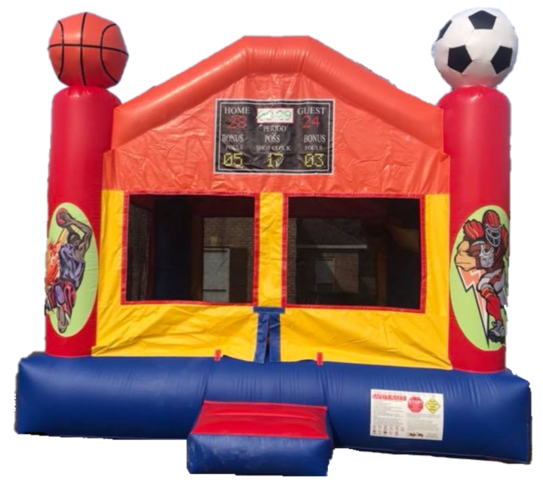 This inflatable sports bounce house is perfect for your son's birthday party. 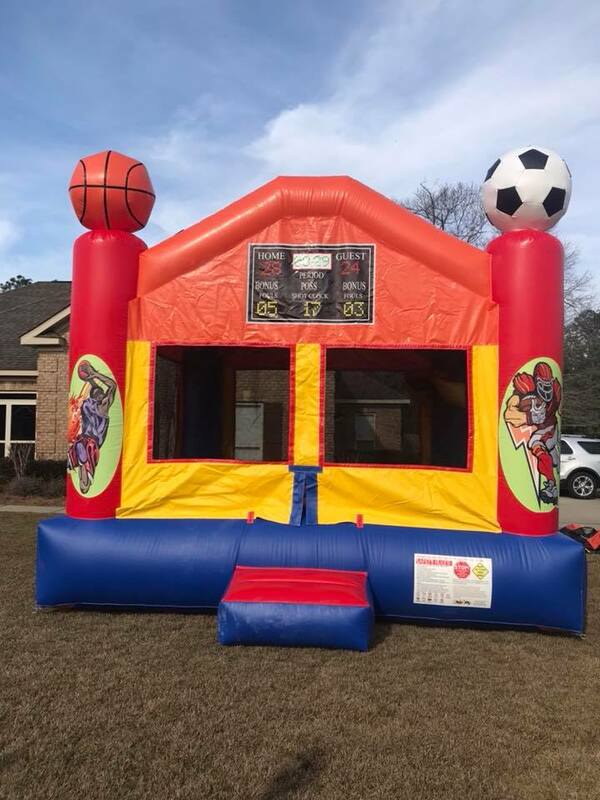 This popular bounce house rental is a eye catcher for any sports fans. This tops are a basketball, football, baseball, and soccor ball. There is even a basketball goal inside for kids to play with. We offer the cleanest bounce house rentals in Mobile AL. Your inflatable rental will be setup and picked up by a trained Spartan Inflatables employee and you just sit back and enjoy your party.